After the great feedback we received from our recent community discussion on the Rate of Force Development (i.e. contact strength) with Taylor Reed from The Beta Angel Project, we thought we should do another one! This time we wanted to discuss a specific piece of research from the most extensive finger strength researcher in the field: Eva Lopez-Rivera. The value of maximal strength training may vary depending on the climber’s starting strength levels. 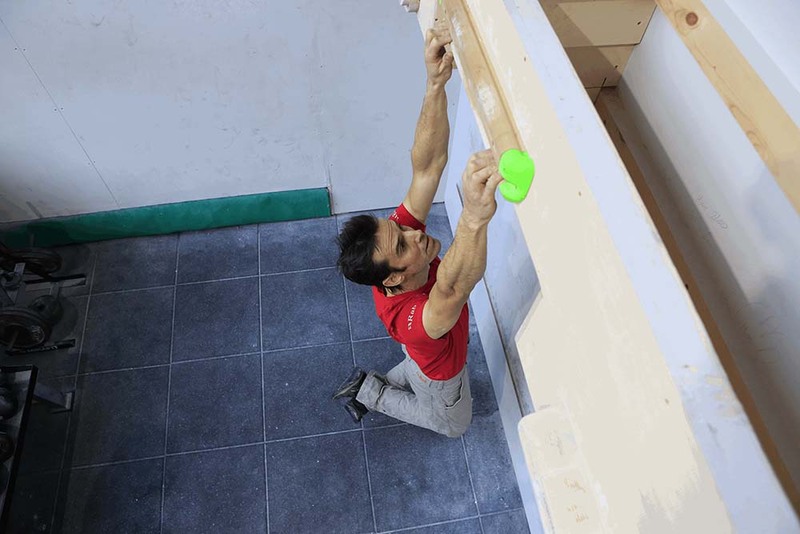 Eva Lopez and her collaborator, J.J. Gonzalez-Badillo, were interested in how hangboarding affected 22 climbers of different finger strength abilities who averaged an 8a redpoint ability level. The climbers were tested for finger strength on a 15 mm edge for maximum added weight at 5 seconds, and also tested for endurance strength on an 11 mm edge hang to failure. Climbers were tested both before and after a 4-week intervention. 3-5 sets of 10-second maximum dead hangs with 3-minute rests. The climbers were divided into a Low Strength (LS) group and a High Strength (HS) group. The low strength (LS) group started at 22.71 (+/- 7.72) kg of added weight and saw a 35.78% statistically significant strength increase, and started at 24.95 (+/- 11.99) seconds of hanging and saw a 35.59% statistically significant endurance increase. The high strength (HS) group started at 41.95 (+/-7.71) kg of added weight and saw a 3.69% non-statistically significant strength increase, and started at 50.35 (+/-18.04) seconds of hanging and saw a 4.22% non-statistically significant endurance decrease. When you start from a lower strength level you’re more likely to make greater gains when doing maximal finger-strength training. The authors spend some discussion time on the findings related to endurance. Taylor noted that he had a section of his research inventory dedicated to finger strength. He also had a few questions he thought could get us started! Would the findings above affect your prioritization of training techniques if you’ve already seen significant strength gains from hangboarding? Taylor was also curious about how the community saw the use of the hangboard for endurance vs. other tools. Happy to answer any questions here. Obliged for your thoughts! I was wondering if you know of any research that looks into differences in finger strength and training effects (especially finger strength) for women and men? A lot of the studies seem to have been done on men only (or it is unclear; the subjects may just be called ‘climbers’). There seems to be a stereotype in the climbing community that women have better finger strength than men, yet the research show that men have slightly better finger strength (? I can’t find the research now so not sure if this is correct – and whether this was weight&strength ratio or just pure strength). I think your primary question is whether women or men have better finger strength. To be honest, I don’t think I can answer your question fully – I’ll try to stick to what I’ve found in the evidence. I’m probably missing something. But you should e-mail me so if I come across more information in the future I can point it out to you. A small problem is that the handful of studies I know of off the top of my head which tested males vs. females are fairly old. There is a 2002 study by Binney & Cochrane titled: “DIFFERENCES IN STRENGTH BETWEEN MALE AND FEMALE COMPETITIVE ROCK CLIMBERS”. They basically looked at a number of indicators, including pull-up ability and different grip types for finger strength, and compared them to performance when controlling for both body mass AND lean body mass. The findings support the idea that there is an absolute difference (males having more) for most of the variables. However, the statistically significant distinctions between genders fall away when controlling for lean body mass. The authors are careful to note that this has health implications for females. A 1998 study by the same authors more-or-less showed a similar finding. However, on this whole point about body mass, the information is a little conflicting. For example, I’d just like to note that a more recent study (Late 2018) with a large population (667 active climbers) out of Norway could not find an association between BMI and performance. What’s exactly one Set. Can you explain this a little bit more. Thanks! Hi! Can you tell me how offen they have done this 5 Sets per week? Hi Thomas. Two times a week for four weeks. And it’s 3-4 progressive sets (50-90%) followed by between 3-5 sets. Here’s a link. There’s a few more pieces of information (such as keeping a “reserve”) you might want to know about. It’s all the way at the bottom.